Some of the secular writers killed in recent years in Bangladesh. From top left clockwise: Faisal Arefin Dipan, Shafiul Islam, Oyasiqur Rahman Babu, Rajib Haider, Avijit Roy and Ananta Bijoy Das. 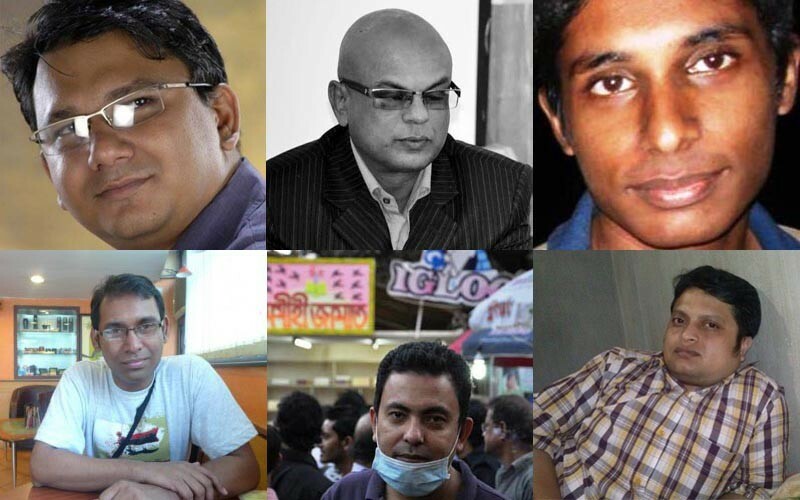 Ten Bangladeshis have been killed since November 2014 for their progressive and secular views: Rajshahi University professors AKM Shafiul Islam and Rezaul Karim Siddique; literary publisher Faisal Arefin Dipan; law student Nazimuddin Samad; Xulhaz Mannan, editor of Bangladesh's first LGBT magazine, and theatre activist Mahbub Rabbi Tonoy; and bloggers Avijit Roy, Oyasiqur Rahman Babu, Ananta Bijoy Das and Niloy Neel. Bangladesh, a Muslim-majority country, is officially secular. But people who have challenged religion have repeatedly been targeted by Islamic extremists in the past decade. For bloggers, intellectuals and writers who have openly criticized religious conservatism in their writings, the consequences have become increasingly deadly. A small cohort of secular, pro-human rights bloggers rose to prominence in Bangladesh in 2013 as key drivers of a massive protest movement, demanding the death penalty for war crimes committed during Bangladesh's liberation from Pakistan in 1971. 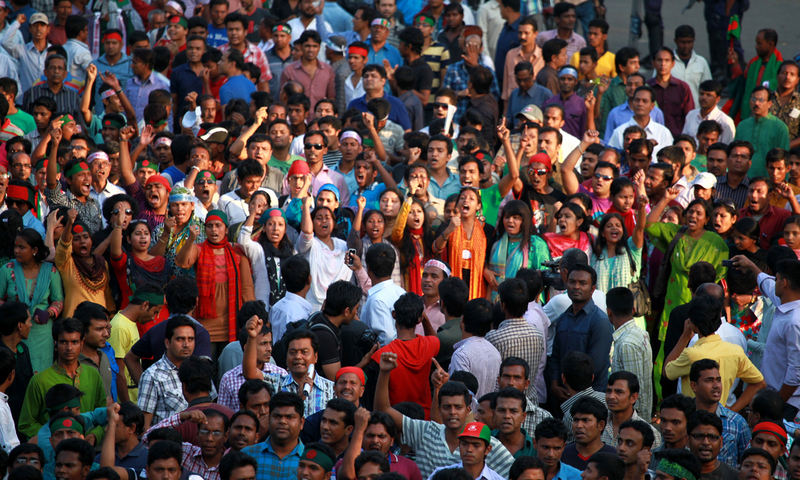 Hundreds of thousands came together to occupy Shahbag Square, an intersection at the heart of the capital city of Dhaka. The accused war criminals were all linked to Islamist political parties, and some even served in government. Protesters sought death penalty punishments for criminals due in large part to the relative impunity that convicted criminals tend to receive in Bangladesh. Without the finality of a death sentence, citizens feared that convicted war criminals could in fact return to power. As the Shahbag movement gained steam, many protesters also started demanding an outright ban on religious politics. 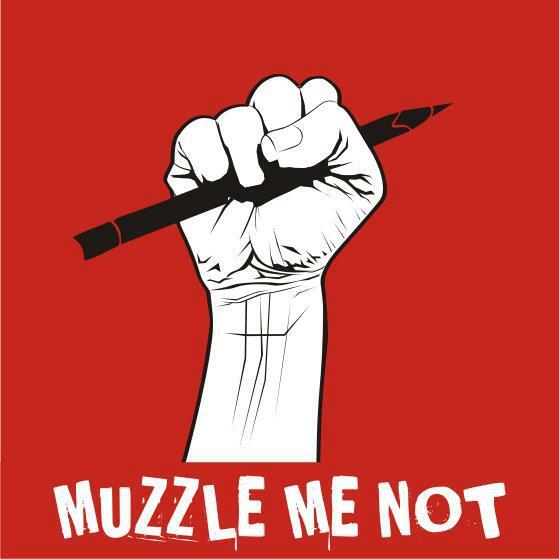 Soon, a systematic campaign to malign and brand key Shahbag bloggers as anti-Muslim and atheists began. A leading Bengali daily Amardesh published a series of inflammatory articles featuring selective excerpts from several blogs written by Shahbag protesters, which stripped their writings of context and accused them of blasphemy. Blogger Ahmed Rajib Haider, who was at the forefront of the Shahbag movement and wrote frequently about religious fundamentalism in Bangladesh, was hacked to death outside his home in Dhaka on February 15, 2013. In March 2013, at the height of #Shahbag protests, a group of conservative Muslim clerics submitted a list of 84 names of bloggers to a special government committee, accusing the bloggers of “atheism” and writing against Islam. Allama Al Shafi, the leader of the prominent Islamist coalition Hefazat Islam, which has over 35,000 members and has been fighting against secular education in Bangladesh since 2010, openly stated that many bloggers are “apostates” and should be “killed”. During this period of extreme tension, government officials blocked critical websites and arrested multiple bloggers from the list. In parallel, some right-leaning leaders were also arrested. Bangladesh is a non-religious parliamentary democracy, which means there is no Sharia or blasphemy law. People who identify as atheists have the same rights as other citizens. The right to free expression is also enshrined by Bangladesh’s constitution and international human rights doctrine to which Bangladesh is party. Bangladesh's constitution has protected the right to secularism since 2011. Secularism was one of the four fundamental principles according to the original 1972 Constitution of Bangladesh. The secularism principle was removed from the Constitution in 1977 by Ziaur Rahman by the 5th amendment of the Constitution and Islam was declared the state religion. Bangladesh has been divided on this issue with right wingers seeking to keep Islam as state religion, while those on the left favor restoring the 1972 Constitution. Twenty-eight years after Islam was enshrined as the state religion in Bangladesh’s constitution, the country’s highest court has agreed to consider a petition challenging that status. This hearing is scheduled to begin on March 27, 2016. Section 57 of Bangladesh's IT Act criminalizes “publishing fake, obscene or defaming information in electronic form.” Under the country's penal code, any person who has a “deliberate” or “malicious” intention of “hurting religious sentiments” can be prosecuted. About eight years before the Shahbag protests, the country’s Supreme Court made a big move to reiterate Bangladesh’s commitment to secularism: it restored a ban on religion-based politics, isolating Islamist parties from official participation in national politics. In 2010, the Election Commission of Bangladesh asked the three religion-based parties — Jamaat-e-Islami, Bangladesh Khelafat Andolan, and Tarikat Federation — to amend their charters if they wanted to contest in the elections. The largest religious party, Jamaat-e-Islami, took their case to the High Court. On August 1, 2013, the court ruled that Jamaat-e-Islami was unfit to run in the election because its charter puts religious beliefs above democratic process. However, in more recent years, the government, the judiciary, and police forces have taken no significant measures to deter extremists from targeting the bloggers and the publishers. These bloody days are becoming a norm […] We are living in a country where the bloggers, writer, journalists, do not feel safe to express their views anymore. Many bloggers have stopping writing and some have gone into hiding. Some of the country's most active bloggers now fear they may face jail or will die at the hands of the assailants. Some under threat have left the country. Stay with Global Voices for continued coverage.